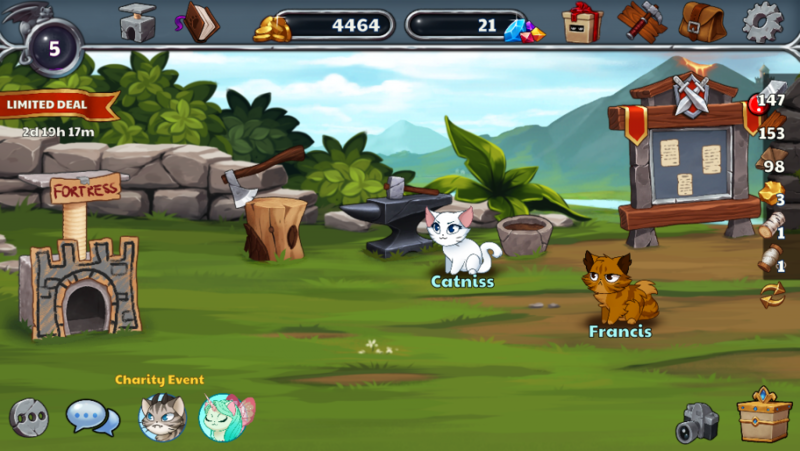 Castle Cats offers players a unique and adorable option that falls strongly into the mobile RPG genre. The game is extremely lighthearted and focuses on a group of three cats who form the main portion of your Cat’s guild and their efforts to defeat the evil Pugomancer, a cocky pug who is fond of summoning the undead and teasing the main cast of cats. A fun and family friendly story with pop culture references and silly jokes is complemented well by a simple and appropriately deep level of role-playing elements making for a great experience for players of any age. 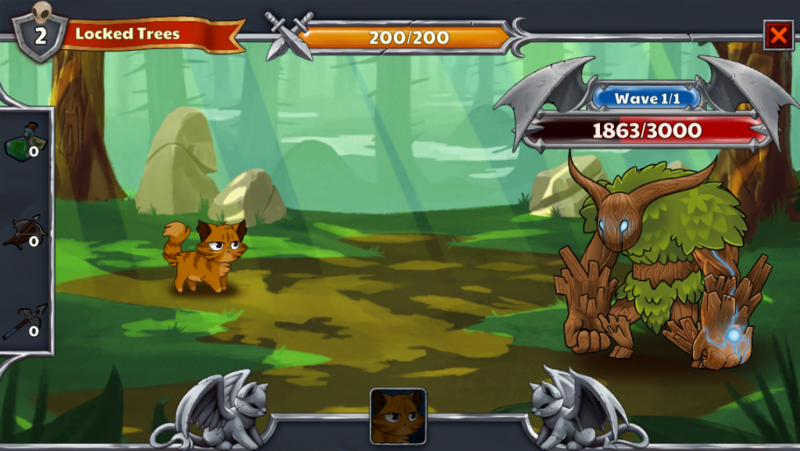 The core gameplay of Castle Cats focuses on completing quests to earn gold, experience and varying other rewards.To complete quests players will have to assign up to three Cats to the task and either allow them to complete the quest in the time shown or assist them to make the quest complete faster. The player’s tap gauge starts with two hundred taps and recharges slowly over time, but these taps are used to attack the enemies during quests to speed up the completion. Players can accept as many quests as they like provided they have enough Cats, and the larger a player’s roster of cats is the more they’ll have to upgrade their cardboard kitty fort to keep them all active and available. Quests also require certain skills to increase their great success chance, which provides players with more rewards when achieved leading to the need to upgrade and acquire more cats. There are over 80 obtainable cats in the game currently and more are added for events regularly, and each cat starts with a certain skill and can be upgraded to obtain one more skill as well as a trait that all affect their quest effectiveness and rewards. The player’s base also adds material collection posts for players to collect various resources for further base and guild upgrades. Gold can be used to purchase additional cats through random boxes, and certain cats can be directly purchased from a cash shop as well as various other game boosters. Base upgrades allow for more gameplay per day with more quests, tapping points, active cat slots and more resources gained for even further upgrades. 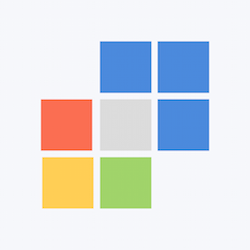 Additionally, there are regular charity events that donate percentages of all sales to animal related charities making playing the game a great way to have fun and support animals in need. The depth offered by Castle Cats is refreshing in the world of mobile RPGs, especially when combined with the game’s relative simplicity and player friendliness. The inclusion of charities makes the game feel much more worth playing and spending money on, although it is completely optional of course. The artwork and animations the game use are appropriately adorable and is complemented by a very well done soundtrack as well. 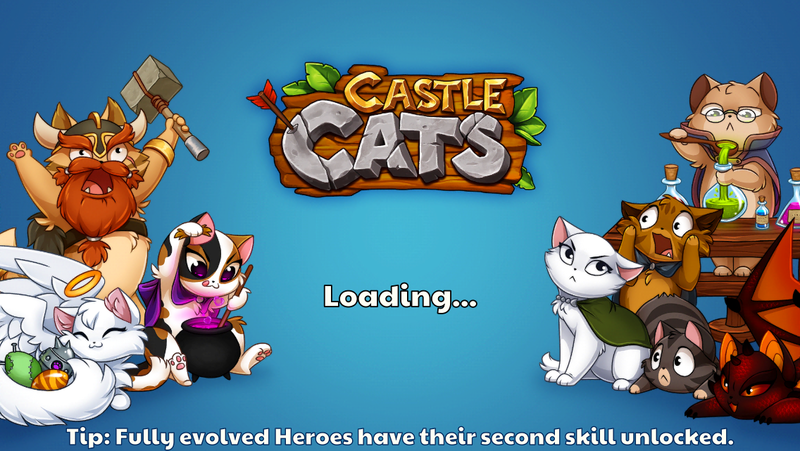 Castle Cats is overall a completely pleasant experience that will leave any player with a smile on their face whether it be from solid mobile gameplay, the wonderfully silly dialogue and characters, or the adorable appearance of all the cats the game has to offer.